A messy office can lead to poor productivity – and if you find that clutter is constantly getting in the way of you doing your job, then we’re here to help. Whether you’re working from home or in a big office, read on for a few easy office organization ideas that are super easy to implement. They won’t take long and we promise that they’ll increase your productivity by reducing the time you spend wading through office clutter! Over time, desk drawers become full of clutter so make sure you clear them out every now and again. Recycle or throw in the trash anything you don’t need or use, and bundle up loose items with VELCRO® Brand Cable Ties. You’ll be much more productive when you don’t have to root through your desk drawers to find what you need! If your office drawers are full of charger cables for all your different devices, try this handy organization hack. 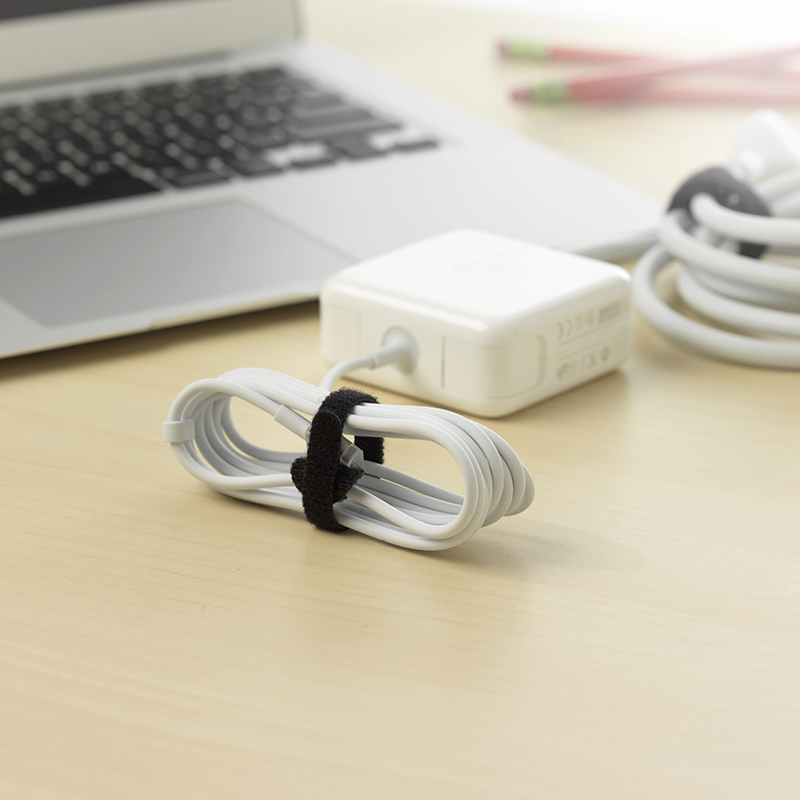 Wrap each cable up with a VELCRO® Brand Cable Tie after every use and it’ll never get tangled again! Going paperless is great for the environment and it’s even better for your organization! Paper is the biggest culprit for office clutter so make yourself a pact to only print things out when it’s absolutely necessary. And if you’re used to writing notes, write them on a whiteboard instead (which you can hang up with VELCRO® Brand Heavy Duty Tape so you don’t have to drill into the wall). Ready to start organizing your office? Tag us in a photo on Instagram if you have a go at any of these tips. And for more organization ideas, stay on our blog!